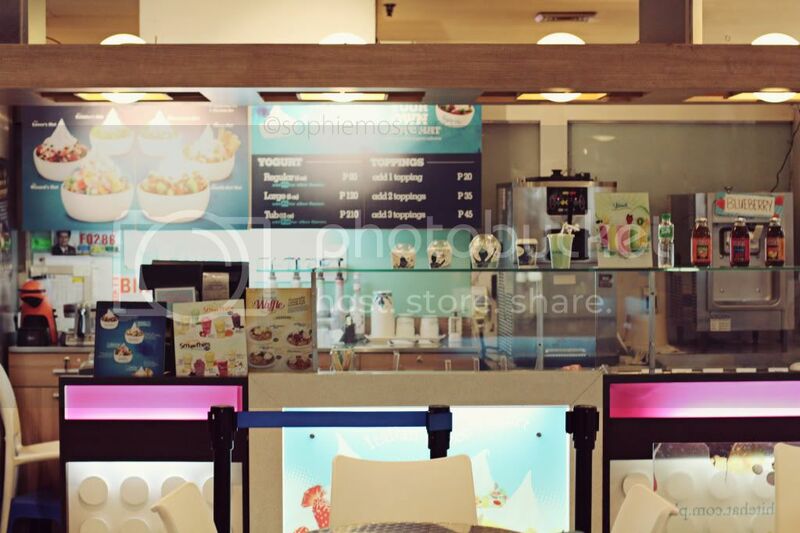 Before all the milk tea craze, was the Froyo craze. Different Froyo brands started to sprout and pop just about anywhere. I couldn’t help but jump into the bandwagon then and got addicted to it. 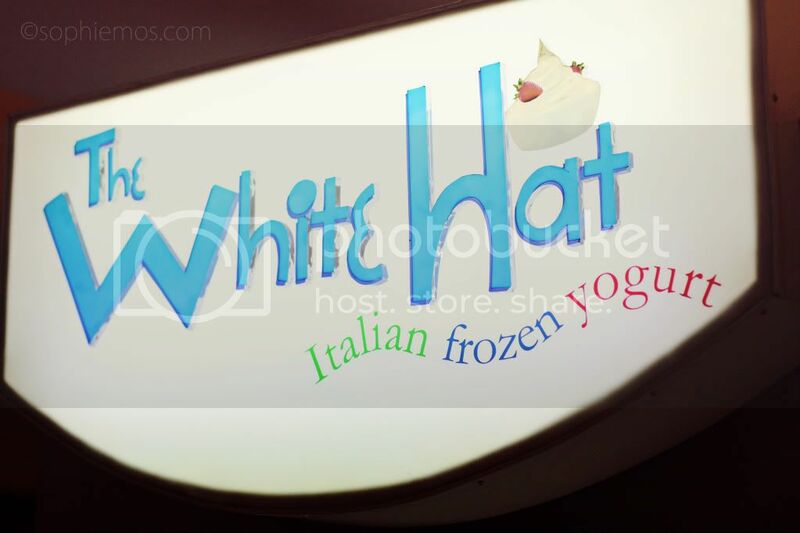 One of my favorite Froyo brands was White Hat. Me and my friends we’re so addicted to it, that it would be a MUST for us to head to White Hat at Greenbelt every time we went out. Naturally, since I got addicted to it, I also got sawa. 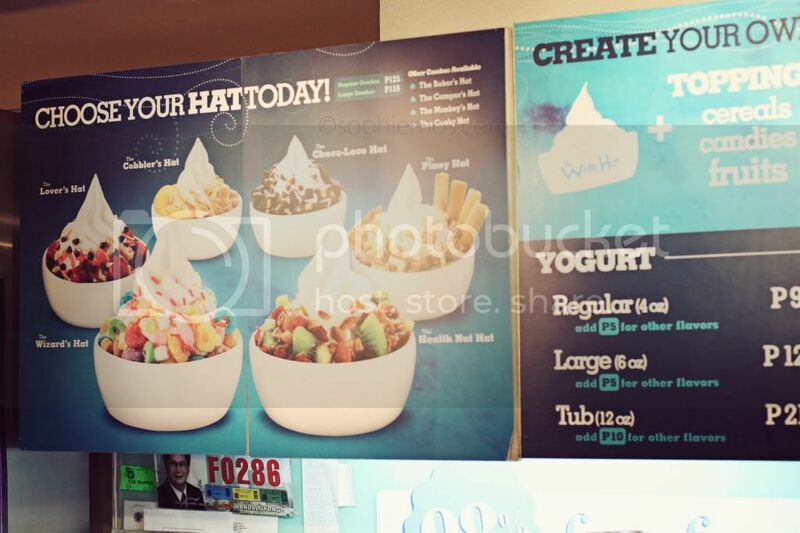 Nevertheless, White Hat’s froyo has always been my favorite Froyo. It’s not too sour or too sweet. Just right! 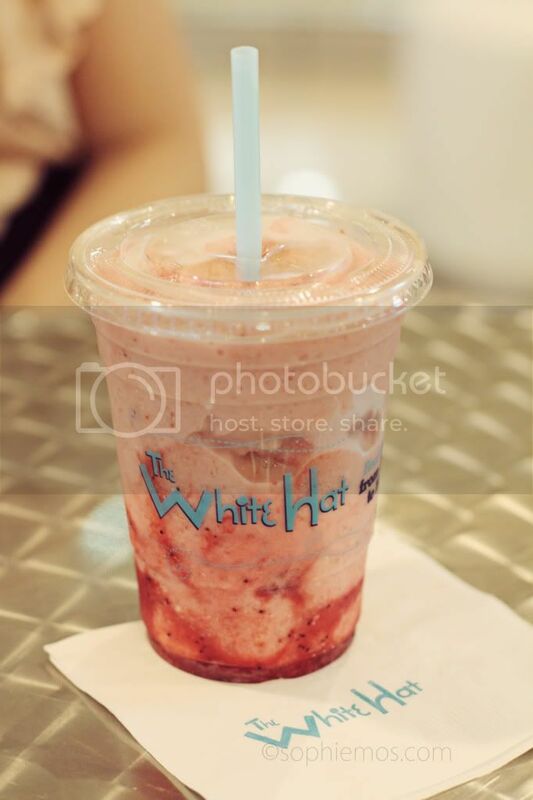 Last Wednesday, I was invited by White Hat to try their newest products, which are different smoothies and other drinks! How could I resist? Haha! 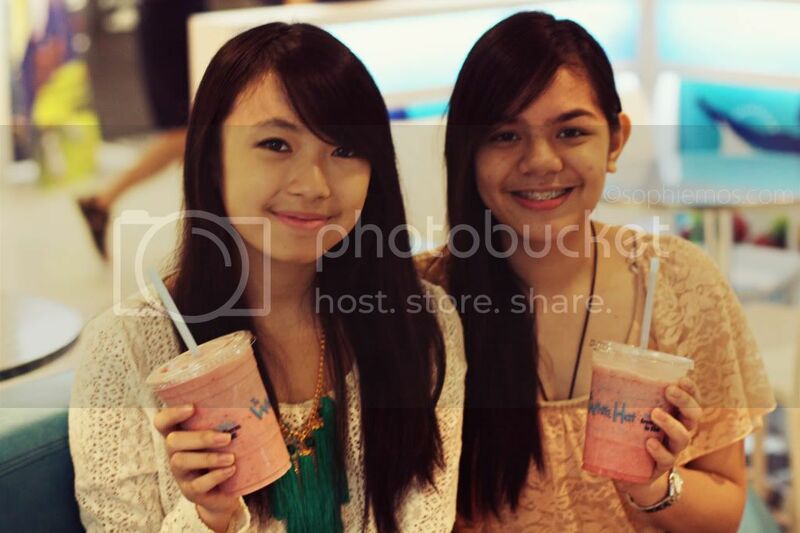 So I invited my friend, Abby, and we headed to Shang to try it out! 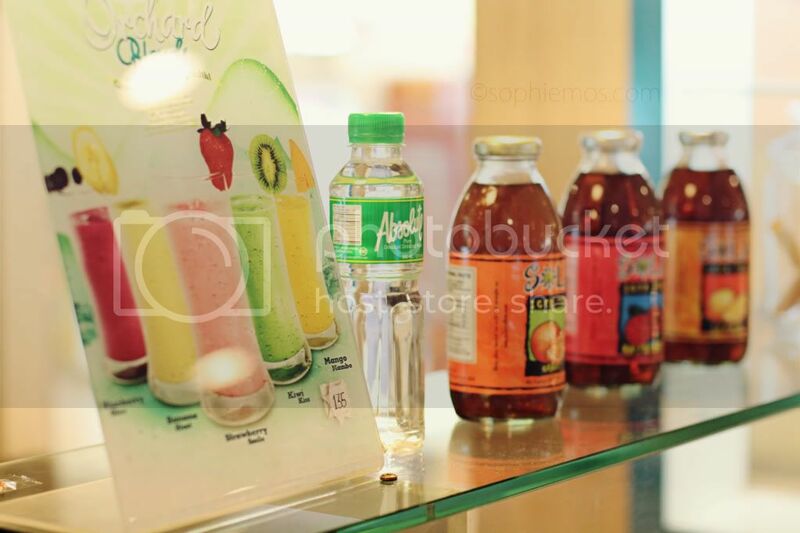 So White Hat has 3 new lines of drinks, which are all made with fresh yogurt blended that are both healthy and delicious. 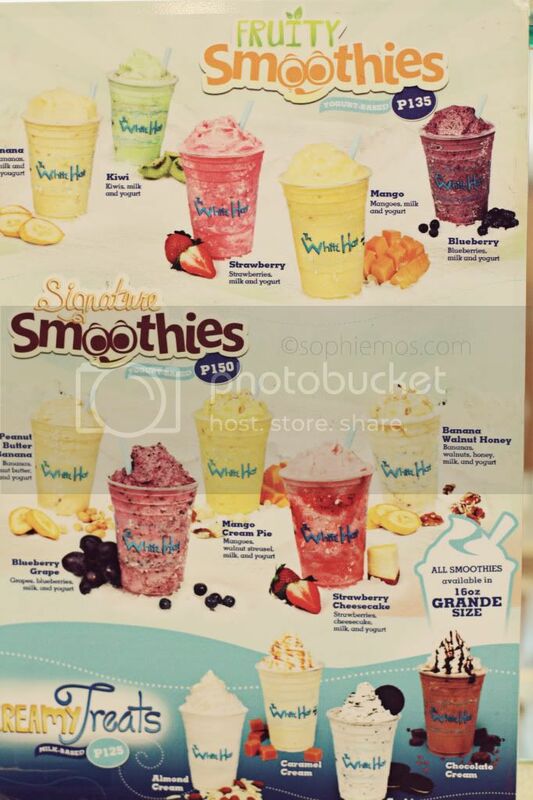 First line is the the Fruity Smoothie line which includes kiwi, strawberry, banana, mango, and blueberries flavor. Second is the Signature Blends line, which includes different flavors such as Strawberry Cheesecake Smoothie, Banana Walnut Honey, Mango Cream Pie, Blueberry/Grape, and Peanut Butter Banana. The last line is the Creamy Treats line, which has Cookies & Cream, Caramel Cream, Chocolate Cream, and Almond Cream. The Strawberry Cheesecake was good. What I liked about it was it wasn’t too sweet unlike other fruit drinks where you know that it’s just sweetened by syrup. You can really taste the yogurt and strawberries. I just wish they added more cheesecake and lessened the ice. Take 891282918! Haha! Finally a not blurry picture! Thanks Ate Alma! So what are you waiting for? 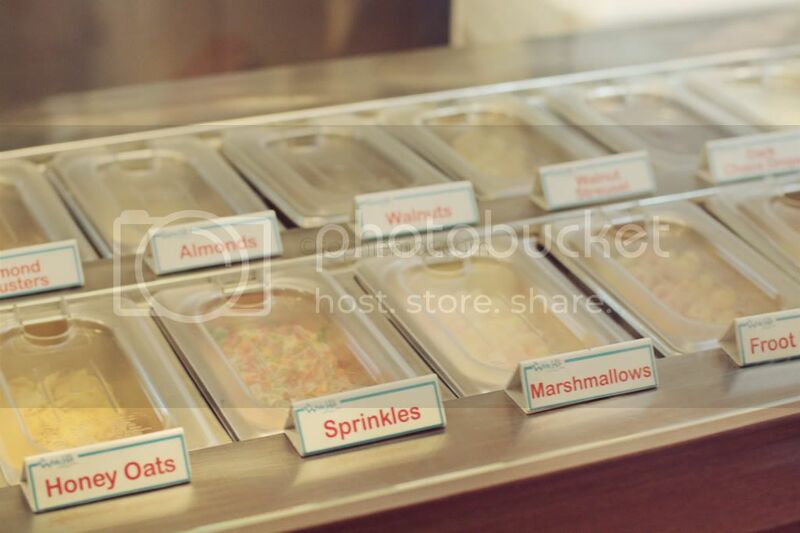 Get your froyo/smoothie fix at White Hat! 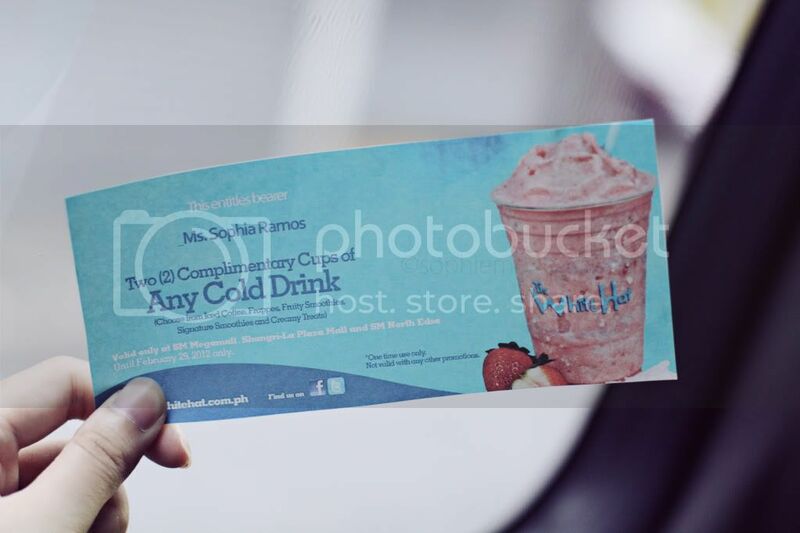 SM Megamall, Fully Booked BHS, Glorietta 3, SM North Edsa, SM Marikina, Gateway Mall, Shangri-la Mall, Robinsons Manila, Robinsons Galleria, SM Mall Of Asia, Ayala Trinoma Mall, Landmark (Trinoma), Rockwell, One Archers Place La Salle Taft.